Mining Projects Group (ASX:MPJ) is now mere weeks away from high impact drilling which could prove transformative for the company and shareholders in its nickel quest. A recently completed capital raising netted the company $1.2 million from strategic investors – funding to underpin a much-anticipated drilling program which the company is hoping will hit game-changing nickel mineralisation. Despite the nickel price at six year lows, and a commodities market the worst it’s been in ten years, MPJ has managed to attract a series of strategic investors who have piled into the company for this drilling event. So why are these strategic investors coming on board now? 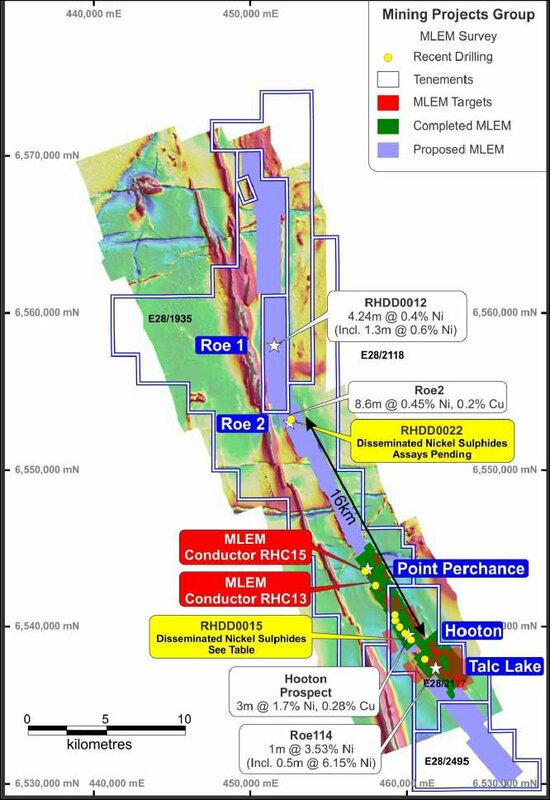 It’s likely they see the high potential for a commercial nickel discovery to occur in the short term, and been impressed by the quality of the technical team driving MPJ’s exploration programs – most importantly their track record of success in discovering nickel sulphides in the Goldfields through Jubilee. Numerous drilling campaigns, geophysical surveys and field work have led MPJ to this moment – and now the company may be on the cusp of a game changing discovery. It’s drilling its flagship Roe Hills project, which features 40km of ultramafic strike length – all of which is highly prospective for a nickel discovery and appears to be just the right breeding grounds for nickel deposits. For the next couple of weeks, the technical team at MPJ will be crunching the numbers on data gained from recent MLEM (moving loop electromagnetic) and DHEM (downhole electromagnetic) surveys taken as part of its previous drilling campaigns. These results are anticipated to be released over the coming weeks. Once the MPJ technical team has all the data at its disposal, it will pinpoint its drill targets and then get drilling in a mere matter of weeks from now. Like previous nickel finds from small cap explorers, a strongly mineralised nickel hit could see MPJ’s share price multiply in a big way. However success is no guarantee, and caution should be taken when considering an investment. The company’s flagship project is the 100% owned Roe Hill nickel project in WA. It is home to a 40km strike trend, highly prospective for nickel. MPJ has methodically and scientficially progressed the exploration over several years up to the point where the first set of high priority targets will be drilled, based on extensive data evaluated by their world class technical team. It recently wrapped up a 10-hole drilling campaign along the strike as a first pass assessment of several underexplored key prospects. All holes drilled intersected nickel mineralisation and provided overwhelming confirmation of the nickel fertility of the belt. Surface mapping by highly credential geological consultant Sarah Dowling also identified additional ultramafic sequences which have undergone no previous exploration – MPJ plan to change that very soon. MPJ confirmed five ultramafic sequences along the 40km strike, multiplying the total contact area where the mineralisation is situated to over 200km – an extremely large area from which MPJ could make a big nickel discovery. Nickel sulphide deposits in the Kambalda region often occur in clusters – each prospect at MPJ’s Roe Hills Project therefore has the potential for several discoveries. To put that in perspective, the total Roe Hills strike length is several times larger than the whole Kambalda Dome, which has produced three million tonnes of nickel to date in 50 years – and it’s still producing nickel. Assuming a nickel price of $10,000/ tonne, even at today’s temporarily depressed prices, that equates to a value of over $30 billion in nickel discoveries so far, and counting. This partly explains why if the $11M capped MPJ can hit strong nickel mineralisation in the upcoming drill campaign, the share price could multiply overnight. However, like all junior explorers, there is no guarantee here: MPJ is still a speculative stock, and there is also a chance they may not strike it big this time around. The previous drilling, MLEM and DHEM continue to provide further confirmation of the upcoming prospectivity of the drilling targets. For a company with an $11.7m market cap, MPJ has managed to attract a world-class nickel exploration team to carry the Roe Hills Project forward. The team has combined experience of over 100 years and has played leading roles in minerals discoveries with a cumulative value of over $10 billion . The chief technical honcho at MPJ is a man by the name of Neil Hutchinson. While casual observers may not know the name, those with an ear to the nickel ground in WA know just what a big get Hutchinson’s appointment is. Hutchinson is better known as Andrew “Twiggy” Forrest’s go-to guy on nickel in the state. He joined Poseidon Nickel in 2007 as the general manager of geology, and Prior to his appointment at Poseidon Hutchison was the Jubilee Mines geologist. Within 12 months of joining Poseidon Nickel, he played a major role in the Cerberus nickel deposit discovery. It’s a deposit which holds 68,000 tonnes of nickel (and is still growing). While it’s a speculative stock and there is no guarantee, a Cerberus-esque deposit would be truly transformative for MPJ. Vallance has over 25 years of experience in the nickel sulphide game, and serves as the company’s technical manager. He was the chief geologist of exploration at Jubilee Mines, then Xstrata from 2000 to 2010 and has a stellar track record being involved in several major W.A. nickel discoveries. He’s also done stints with LionOre, Forrestania Gold, Western Mining Corporation, and Australian Consolidated Minerals – all serious players in the mining industry. MPJ also recently announced the appointment of much-respected geological consultant Sarah Dowling. Dowling comes to the company with over 30 years of experience in senior geological roles including work with the CSIRO, and they only employ the best and brightest minds. She’s worked with some of the biggest names in WA nickel, most notably with Mining Project Investors where she guided the team which discovered the high grade Silver Swan Massive Nickel Sulphide deposit near Kalgoorlie WA. It was the first new Nickel Sulphide discovery for almost 30 years in WA and at that time the highest grade Nickel deposit in the world. And now she has brought her skills and experience to MPJ. MPJ is working with two of the hottest names in nickel exploration with a sterling rack record in the game. The Newexco team was behind the massive nickel discoveries of Nova and Bollinger, and Panoramic Resources’ recent intersect of 89.3 metres at 1.6% nickel. As well as the famed Spotted Quoll and Flying Fox nickel deposits for Western Areas. MPJ’s entire technical team have each taken a package which includes both cash and MPJ shares. If it were simply a salary job, they would be rewarded for doing their job but not necessarily for exploration success. However, with all four taking stock in the company, it’s an indication that the dynamic trio think that MPJ has the potential to rocket up in valuation in the case of a discovery. At the same time, caution should always be taken when taking a punt on resources stocks. We here at Catalyst Hunter love seeing key personnel with skin in the game, as it indicates that they truly believe in a company’s potential for shareholder return and will put in that extra 10% to make sure it happens. MPJ has gone about its business in a calm, scientific and methodical manner – getting its hands on all the data it can to make further exploration as capital efficient as possible. That data is being analysed by some of the brightest minds in nickel exploration, and they’ve been incentivised by having shares in the company – or skin in the game. It’s now getting ready to embark on a company-changing drilling campaign which could hit big targets – and the big end of town is sitting up, taking notice, and laying down the cash to back MPJ. In the worst mining conditions in a decade, the investors are backing MPJ to the hilt. Major investors are buying into the story and are at least as encouraged about the near-term drilling at Roe Hill as we are. After all, smart money is attracted to smart thinking. The upcoming drilling at Roe Hills is really a turning point for the company. Each member of MPJ’s technical team is drawing on their past experience in making nickel discoveries, and this is combined with MPJ’s previous exploration efforts here to date. The drill bit should be spinning in a few weeks’ time. 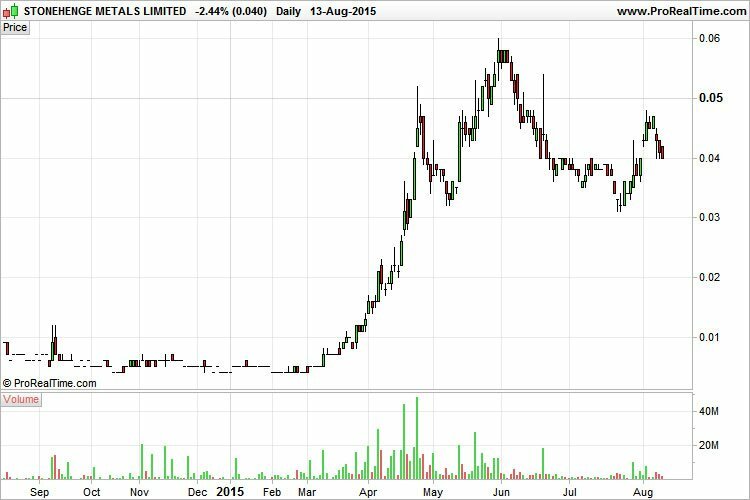 It’s all culminating into a potential company making nickel discovery – Happy hunting.